Simplicity, a specialized Fashion Magento Theme for fashion store, high fashion store, shoes store, accessories store,… Using light color as background would be the smartest choice for an eCommerce solution for online market. Simplicity, a specialized Magento Theme for fashion store, high fashion store, shoes store, accessories store,… Using light color as background would be the smartest choice for an eCommerce solution for online market. Mark Lavelle, SVP of Product and Strategy for eBay Enterprise introduced us to the new Magento Community 1.9 at this year’s Magento Imagine on 13th May. This new edition has more than 50 enhancements that would improve quality and security throughout the product. The default theme now follows Responsive Web Design principles. Filtration by category, price, additional attributes, etc. When it comes to online shopping, speed sells. If you’re slow, you are going to lose customers – you have just seconds to catch their interest so if your pages aren’t loading quickly, they will be off to a competitor’s site. But if you’re fast you will keep your customers happy – and happy customers keep coming back for more! That is why we offer a Magento speed optimization service – as Magento backend experts we know exactly what it takes to speed up Magento performance and can do so without any impact on your services. 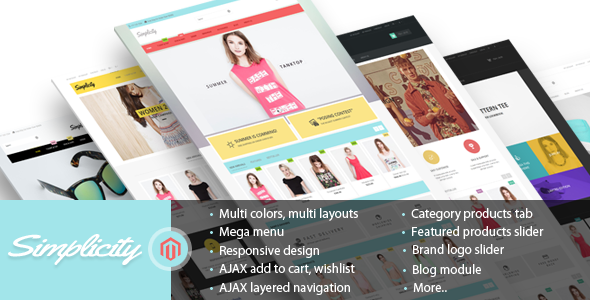 Veneno is Responsive Magento Theme that will be a great solution for online Sport shop, fashion store, accessories,…. This layout is bright and simple with 3 stores which make you have many choices for your online store. 3 stores with different layouts in home page bring different interesting experience. after getImageUrl() function, around line 489.